Looking down at the mall on the campus of the University of Arizona. Decreasing freshman enrollment is forcing the University of Arizona to up recruitment efforts outside of its usual target demographic of recent high school graduates. 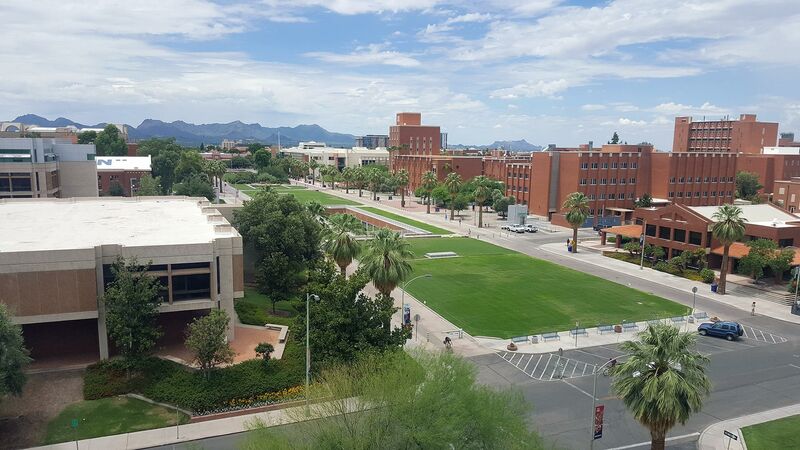 UA Dean of Undergraduate Admissions Kasey Urquidez said the university is fighting to increase its freshman enrollment numbers. This is pretty difficult, according to Urquidez, for one big reason. Urquidez said the university has ramped up domestic and international recruiting efforts targeting nontraditional students in response to its dwindling freshman class sizes. Freshman enrollment dropped by 3.5 percent last year, and new international student enrollment dropped by 8.6 percent, according to UA data. Urquidez said this isn’t just a UA problem — universities across the country are seeing decreases in freshman enrollment.